I am having difficulty understanding why, when I have a December Year End and sales are LT 1.5 million, I keep receiving a paper return which tells me to file by March 31st, 2011. Originally when my business was set up years ago my Accountant gave me a January 31st year-end as that was acceptable. But then CRA changed all years ends to December 31st. We kept the January year end and paid an annual fee for keeping it. When we reached the amount of zero owing stipulated we did two years financial statements and made the year end 31st December. Should this not mean that I am an annual filer who should pay my HST/GST by April 30 and file by June 15th. Hope this is understandable and could do with some help here. "If you have an annual reporting period, you usually have to file your GST/HST return and remit any amount owing no later than three months after the end of the fiscal year. you have a December 31 fiscal year-end. Although your payment is due April 30, you have until June 15 to file your GST/HST return." I would call CRA and discuss it with them. Chances are they can reset your date. HST/GST Filer follow up question? Does it make any difference that I am in business with my husband and we have a registered Business name but we are not officially partners, however we split the income from the business on both our tax returns? Am I missing something here when it states "an individual with income" and that is why I supposed to file March 31st? CRA states on their website, "A partnership is not treated or taxed as a separate person (as with a corporation). All income and losses are flowed out to the partners who report their share of the partnership's income on their income tax return (whether it is a T1, T2, or T3 return). As a result, a partnership does not file an income tax return, and is not taxed at the partnership level. However, the CRA, through an administrative policy, requires certain partnerships to file the partnership information return (T5013)." I don't have have a lot of experience with partnerships ... but I would say that if you are a partnership and not an individual, your deadline would be three months after your fiscal year-end. 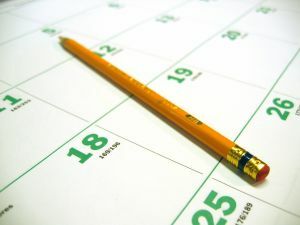 The CRA confirms this somewhat when talking about the informational return deadline by saying, "Most partnerships have to file a partnership information return by March 31 that follows a fiscal period ending December 31." I was always told you should have a written agreement. ... but the CRA website does say, "You can have a partnership without a written agreement." It is my understanding that to be partners ... to split the income ... partners need to be active in the business and / or provided capital. The income splitting should not be arbitrary but be based on fact. You may want to take some time and read Income Tax Folio S4-F16-C1: What is a Partnership? (formerly IT-90). Point six of the bulletin states, "Since a partnership is a relationship between persons carrying on business for profit, the type and extent of a person's involvement in the business is relevant in determining whether he is in reality a partner." Beginning January 1, 2011, there is new criteria for the partnership information return. The changes are administrative. As I said earlier, I don't have a lot of experience with partnerships so please check this out with a more reliable source such as your accountant or CRA.